Whether you're looking for a budget abode or boutique style furnishings, Rome has something for all walks of life and wallet sizes. The beauty of this Ancient city, is that there are a slew of hotels that cater to everyone's needs. To some travelers, especially those with sight-seeing only on their minds, all that's important is staying somewhere clean, comfortable and centrally-located. Guests with location on their mind looking to be in the heart of it all, choose to stay at Albergo Santa Chiara and Palazzo Taverna. 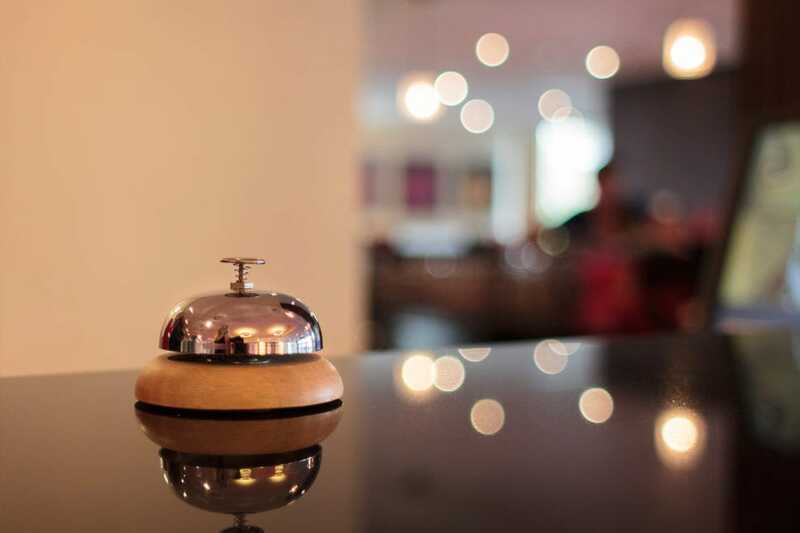 Rather than staying at a hotel, some guests prefer to have their very own home away from home. In this case, space and privacy is important. Residence Candia, located just behind the Vatican Museums, has various types of apartment-style accommodations and always makes guests feel right at home! Those looking for something a little posher and upscale townhouse apartment might prefer to stay at Margutta 54. Then of course, there are travelers looking for over-the-top luxury. While there are a slew of hotels that claim to offer opulent style and exclusive service, none do it up quite as well as thefamed Hotel Hassler and the Aleph Hotel. 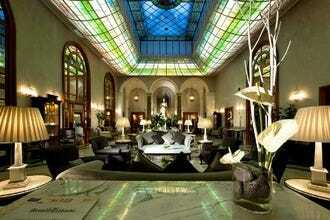 Whatever your needs are and tastes are, be sure to check 10Best's list of Top Hotels in Rome. 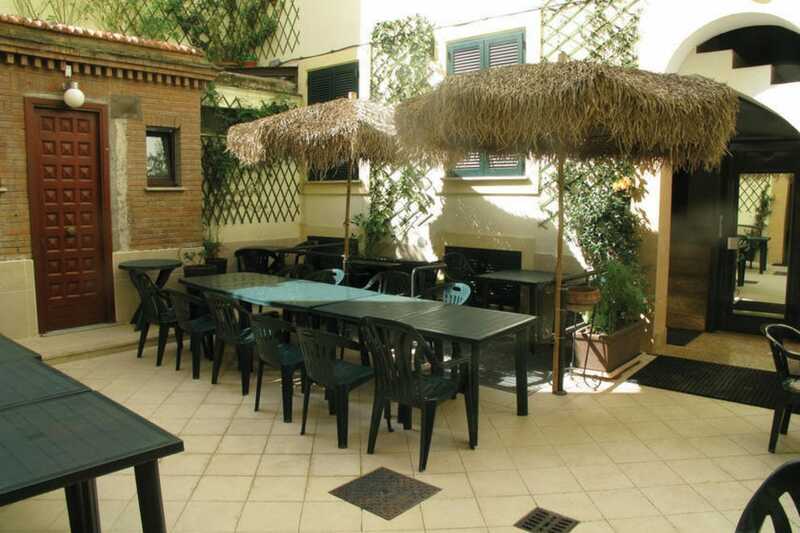 Situated on a side street just off of one of Rome's romantic streets, Via Coronari, known for its wide array of antique shops and galleries, is the classy and affordable Palazzo Taverna. The furnishings in all Palazzo Taverna's 11 rooms are chic with smart wallpaper prints. What's so nice about this tiny budget boutique hotel is that one has virtually all of the major sights at their fingertips and doesn't have to spend a fortune to stay here either. While there is no dining room here, breakfast can be delivered to your room each morning. BUS: 30, 40, 46, 64. Staying at Residence Candia is like staying at your very own home away from home. 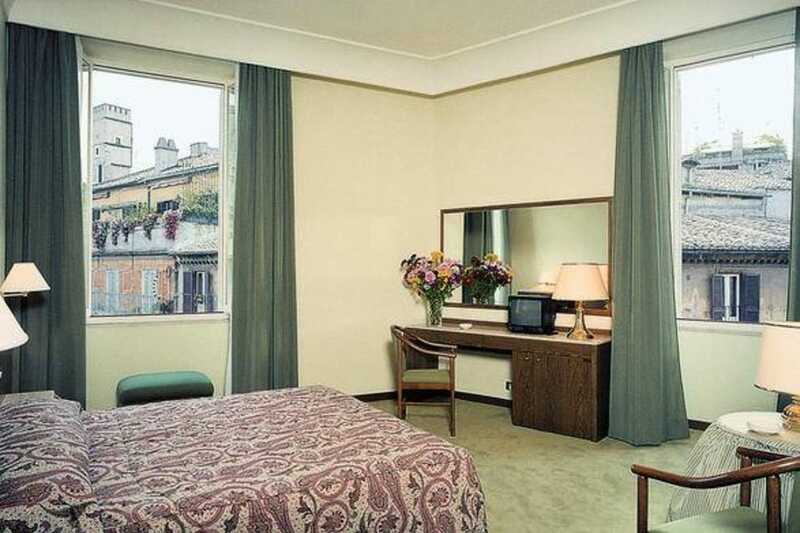 This quaint but comfortable hotel is located only just steps away from the Vatican Museums. The residence has both hotel-style rooms all complete with small kitchenettes and larger apartment-style accommodations. The decor is simple, clean and comfortable. The landlord and the staff are very friendly and are always willing to go the extra mile to help their clients. One of the perks of staying here is that sometimes the landlord organizes parties and raffles free tickets to the papal mass. BUS: 492. METRO: Cipro, Ottaviano. 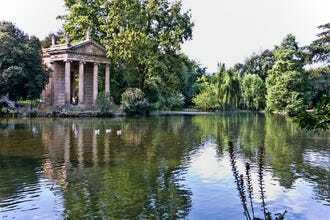 Welcome to a lush green oasis and luxurious retreat, away from the hustle and bustle of Rome. 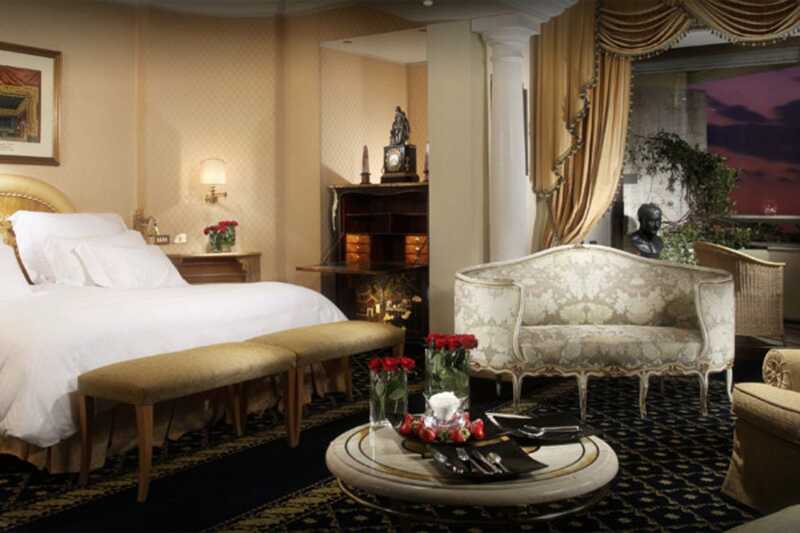 Those who stay at the Rome Cavalieri, don't stay here because they want to be at the center of it all. 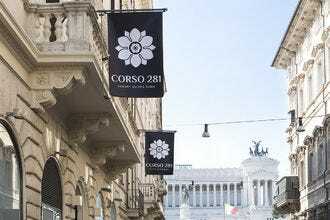 In fact, the luxury hotel isn't very well-connected at all to the centro storico of Rome. But with a sheek outdoor swimming pool, a world-class spa, and the exclusive Michelin star-rated La Pergola rooftop restaurant with million-dollar views of Rome; who needs to be right on the map? Besides, the hotel has a shuttle that transports its guests to and from their hotel to the city center at their convenience. With plush amenities like these, no one's even counting the mileage. Guests keep coming back to the Daphne Veneto because it offers top-notch service, they know they can rely on. 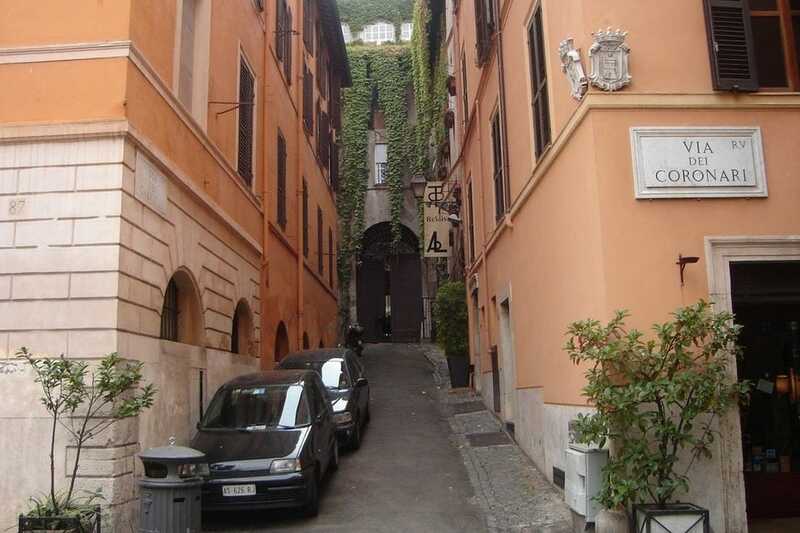 The cute little B & B is perfectly located just a short walk from the Trevi Fountain. 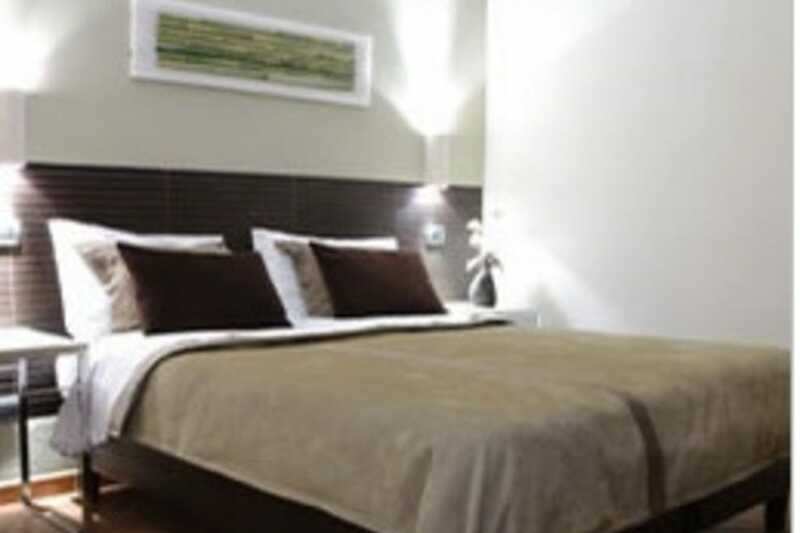 It offers guest clean contemporary style rooms with quality linens and fluffy comfortable comforters. Unlike many other small hotels and B&Bs in the center, the Daphne Veneto has an elevator, which is a prized amenity especially for those with many bags. The Daphne also has a comfortable sitting area, lending library and Wireless internet throughout the hotel. BUS: 492, 80, 52, 53 METRO: Barberini. 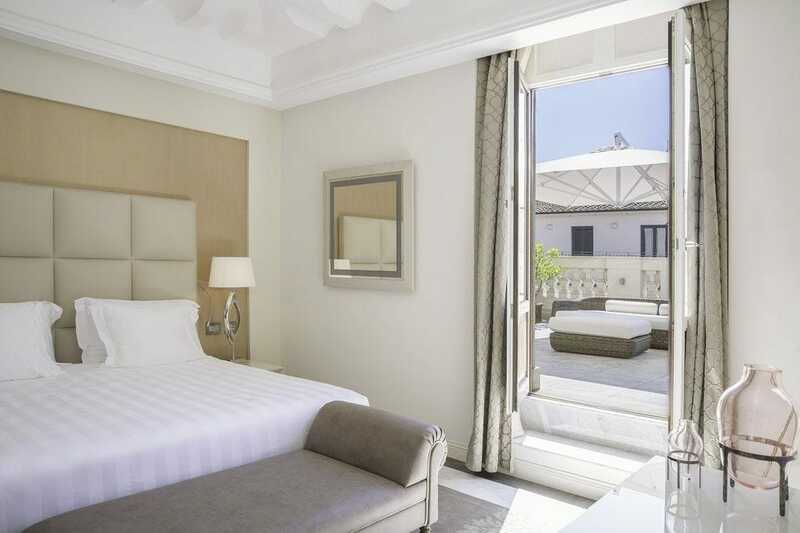 If comfortable furnishings are what you're looking for with a quiet, central location, look no further than Albergo Santa Chiara. 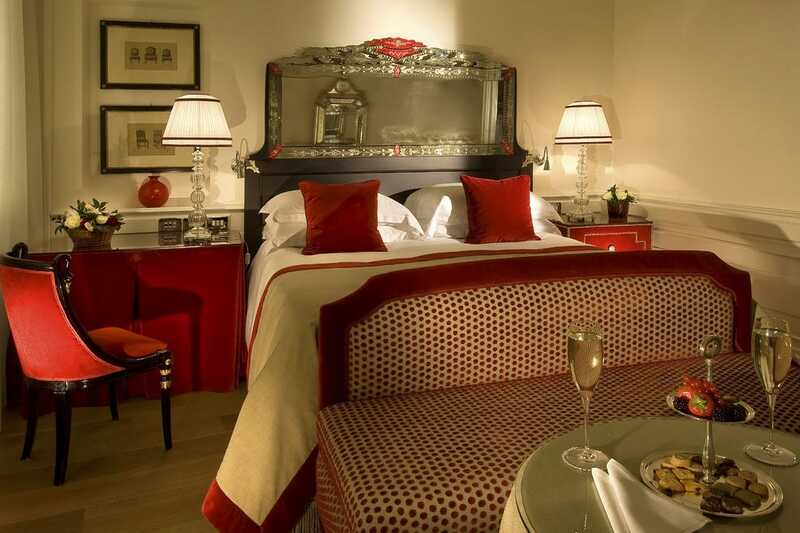 This 3-star hotel is situated just a hop, skip and a jump from the magnificent monument, the Pantheon. The hotel also faces the superb Piazza Minerva and is just a short walking distance from the beautiful Piazza Navona. Location, location, location. Wat makes Albergo Santa Chiara so popular is the fact that has been operated by the same family, the Corteggiani family for several generations. The staff and owners give off a warm and friendly feel to each of their guests who decide to stay at the Santa Chiara. The hotel's rich breakfast buffet has always been a hit with its customers. Those looking for something a little more homey or require a little more extra room, should inquire about the private apartments that Albergo Santa Chiara also rents out to its guests. BUS: 40, 64, 916, 46. If you're looking for a change of pace and would like to stay close to Rome on the outskirts, Park Hotel Villa Grazioli in Frascati is the perfect escape! The hotel is located in a small town in the Castelli Romani (Roman Castles) area of Lazio just about a half hour away from Rome. 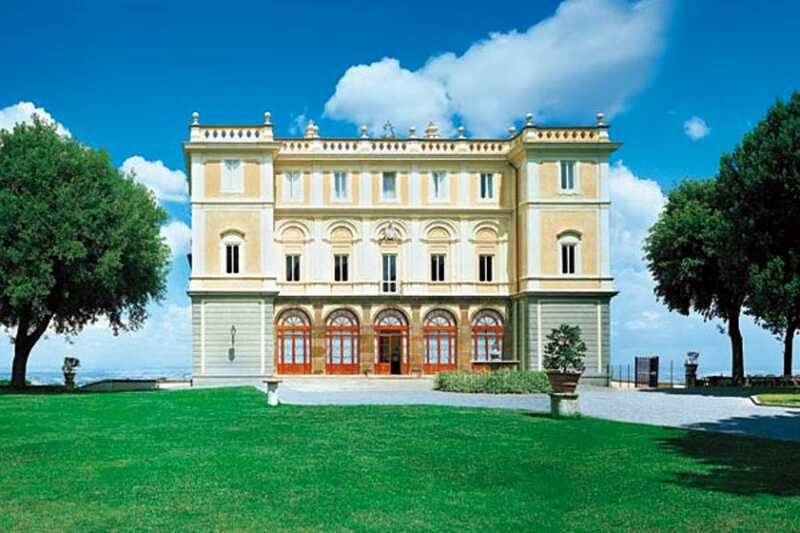 This four-star luxury hotel is situated in a 16th century villa in the hillside of Frascati. 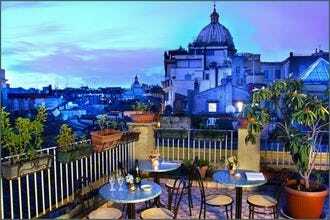 The hotel has one of the most spectacular views of the Roman countryside. Inside the villa, one can capture a glimpse of the magnificent frescoes and artworks by Ciampell, Carracci and Pannini. Villa Grazioli also has a wonderful restaurant where tourists can dine in the evening. 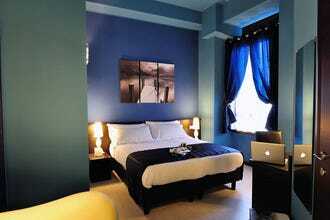 Staying at Margutta 54 boutique hotel is like renting out your very own posh New York style apartment. What makes Margutta 54 apart from its fabulous location, situated on the quiet street of painters, is fabulous style and comfort. Though, it's set in a central location (between Piazza di Spagna and Piazza del Popolo), the area couldn't be more peaceful and quieter. 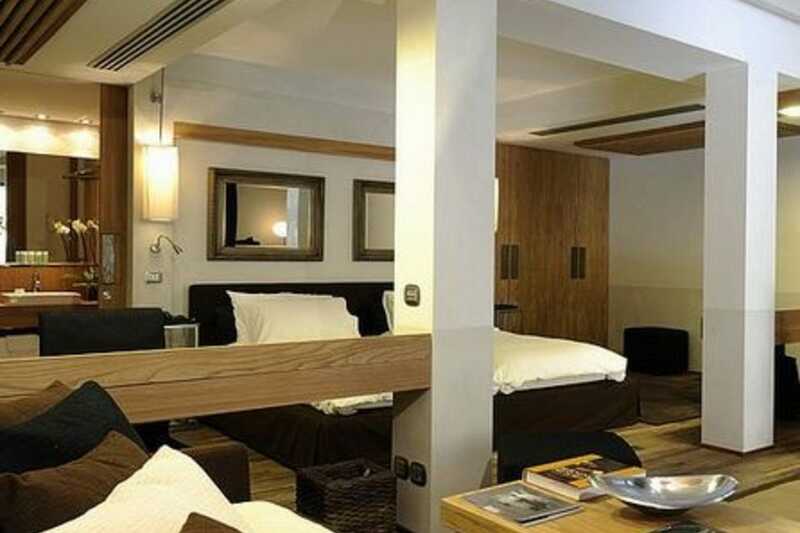 There are just 4 rooms at this hotel, all of which are modernly furnished in brown earthy tones. Amenities include flat screen TVs, Ipod charging docks, nespresso coffee machines (yum) and parquet wood floors. Another plus, is that both top floor rooms and bottom floors connect. Therefore, guests who want to rent out the entire floor for more space and privacy can certainly do so. METRO: Flaminio, Spagna.